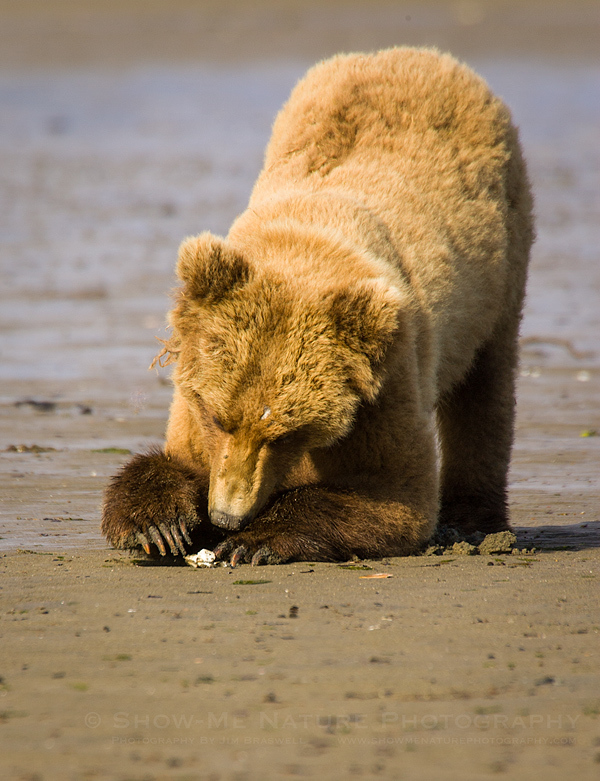 Another common activity of Hallo Bay’s (Alaska) Brown Bears in the spring, is clamming. 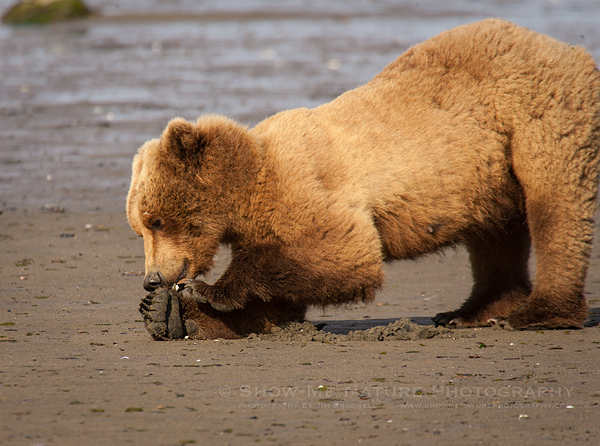 When the tide goes out, the bears can often be seen foraging along the wet sand, stopping often to dig up razor clams. 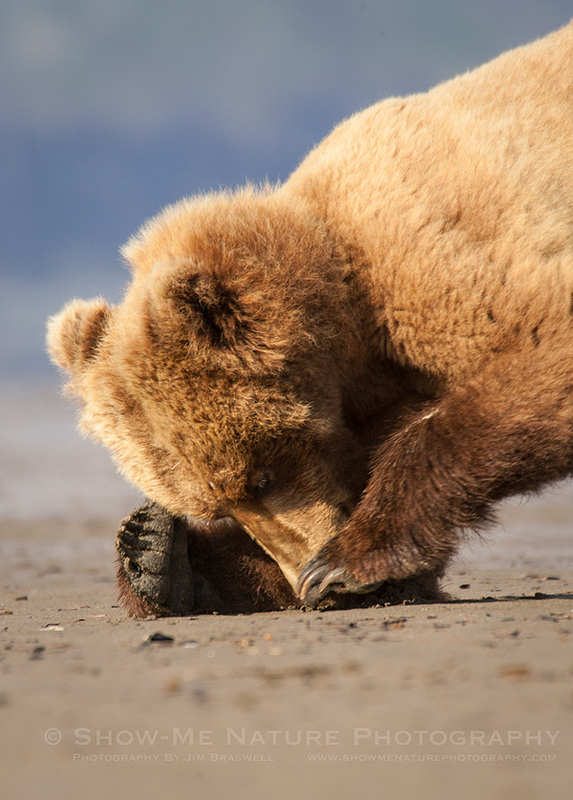 With skillful actions as those of a surgeon, the bears use their long claws to open the clam shells, to get to the inner treat! In the spring, before any of the salmon start their run into the park’s interior (for spawning), the bears only have a couple of options for food: grazing on sedge grass in the meadows (sedge is ~23% protein), and clamming. That is, unless a dead sea mammal washes up on the beach. Watching and photographing the bears’ activities is a real joy to me and one I always look forward to seeing when I plan an Alaska trip! 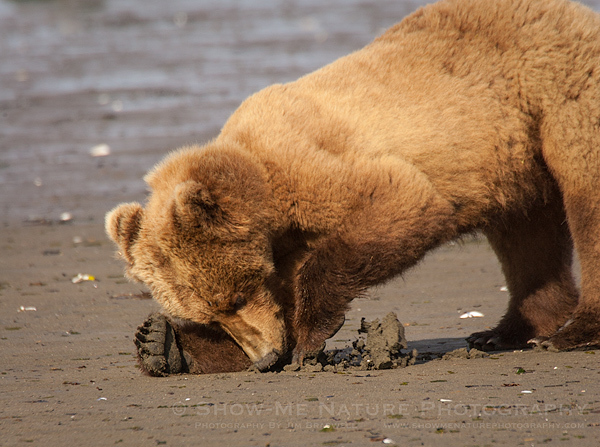 Tags: 2014, Alaska, bear, behavior, Blog, cute, Hallo Bay, Katmai NP, mammals, National Park, nature, nature photography, photography, spring, travel.